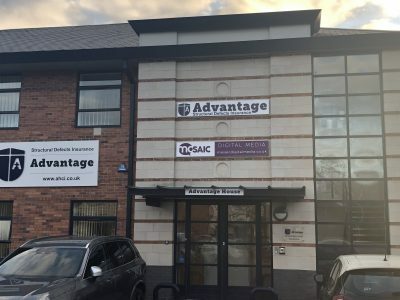 The founders of Advantage Insurance (AHCI) have just announced that they’ve been building upon a strong period of growth for the business by taking on five new members of staff who’ve recently joined their sales team and one new technical surveyor. Advantage specialises in providing construction insurance and has its headquarters in Warrington. The company’s recent expansion follows an announcement at the end of 2018 that Advantage had taken on six new members of staff who’d joined their technical team and news of a fresh recruitment drive at the company’s Birmingham office last month. Company Directors David Sumner and Keith Gannon say that their focus is on creating steady, sustainable growth for their business, and add that they will be taking on more staff over the coming months. Advantage Insurance was founded five years ago, and has rapidly established itself as a leading provider of latent defects insurance, working with leading developers on schemes worth in excess of £50m and also with individual home builders throughout the UK. In 2018, they opened a new office in the South East, following a prolonged period of growth for the business. With their bustling Warrington headquarters and the ongoing success of the business at their Birmingham and South East offices, the Company Directors say their main focus is on the long-term growth of the company, so they’re continually recruiting for highly trained staff to ensure that they have the right people in place to support their expansion. In addition to creating new jobs, an important part of Advantage’s commitment to the local community is to celebrate their success by giving back to those most in need, and they’ve recently supported Liverpool’s homelessness charity, The Whitechapel Centre, and Alder Hey Children’s Hospital.